Kendall’s Supply Ltd. in Estevan has a wide variety of products for vehicles, tools, and agricultural machinery. When it comes your vehicle, we have everything you need to keep your car running smoothly or fix minor or major repairs so you can get back on the road. We have tires, brake pads, wheels, belts, and bearings. We also carry filters, windshield wipers, replacement light bulbs, dent repair kits, refrigerant, wiper fluid, and antifreeze. We carry any type of engine and transmission system part, along with brake pads, brake lines, and rotors, parts for diesel engines, sensors, alternators, fuel injection parts, spark plugs, and many other parts that are essential to your vehicle. Whether you know exactly what you need or your car is making a strange noise and you need to find out what the problem is, our experienced team will help you uncover what repair is needed and find you the right part in our inventory. Kendall’s Supply Ltd. has agricultural supplies as well, including parts for riding lawn mowers, tractors, harvesters, trailers for hauling livestock, and gas and oil specialized for each type of machine. We also have parts for rotary cutters, cultivators, fencing materials, food and water tanks for livestock, animal feed, sprinkler and irrigation systems, and much more. From small private farms to commercial agricultural businesses, we have everything you need to keep your operation running smoothly. Welding supplies are also in our inventory, including new welders, torches, gloves, helmets, plasma cutters, soldering kits, welding accessories, wire, welding tables, and more. 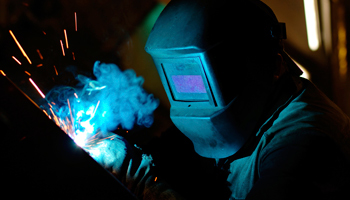 We have the parts for spot, plastic, tig and arc, oxygen acetylene, and mig and flux welders. Kendall Supply Ltd. has any type of hand or power tool you need for work and at-home projects. These include hammers, screwdrivers, wrenches, levels, pliers, measuring tape, and wire cutters. Power tools include drills, saws, electric screwdrivers, glue guns, staple guns, sanders, wood cutters, and more. Our store also has toolboxes of any size so you can store and organize your tools, including tool cabinets with several drawers, perfect for a garage workspace. Our Estevan store can help you with your air compressor needs, whether it be gas driven, single or three phase power, piston pumps or rotary screw, we can help. From a small shop to the biggest we can find the right compressor. Kendall’s supply has the pressure washers available for the smallest or biggest of jobs, electric or gas driven portable, cold water or hot water we can meet your needs. Magikist or Landa are two of our most popular brands with others available. Keep your cars and machinery running smoothly while extending the life of major parts. We have natural and synthetic oils for gas and diesel engines, with formulas for any vehicle or machinery. Our store carries essential additives, including products to prevent gas from freezing, engine break-in oil additive, stop leak, oil stabilizers, and more to address your concerns and improve engine performance. We work with all types of vehicles, so we have Grote lighting products for semi trucks, service vans, municipal vehicles, and construction equipment. This lighting brand creates specialty vehicle lights to ensure you can see well when driving the vehicle at night and ensure that others can see you. It also lights a large area so you can see what you’re working on. These are lights in addition to the head and taillights that attach to the roof, trailer hitch, underneath the running boards, and alongside headlights. We’ll help you find the right Grote lighting for your vehicle.